Russ Litten‘s “Swear Down” was one of my favourite novels of the last couple of years, a gritty and original take on the urban crime-thriller genre, it made me an instant Litten fan, so I was pleased when I heard he was releasing a new novel, and further pleased that it with excellent independent Hull-based publish Wrecking Ball Press. What most excited me though was the fact that, judging by the synopsis, he had taken a completely different direction with the follow up to ‘Swear Down’. Kingdombegins in a prison library in an unnamed city. A man, not a prisoner, not a prison guard, not a member of staff, is found at a computer. Refusing to answer any questions, he eventually assaults a prison guard. From there we flash back to the same man, Kingdom, waking up in an abandoned house with no memory or idea who he is. As he takes his first fumbling steps outside the house, we see that what first appeared to be an urban drama/mystery is actually a very modern ghost story. 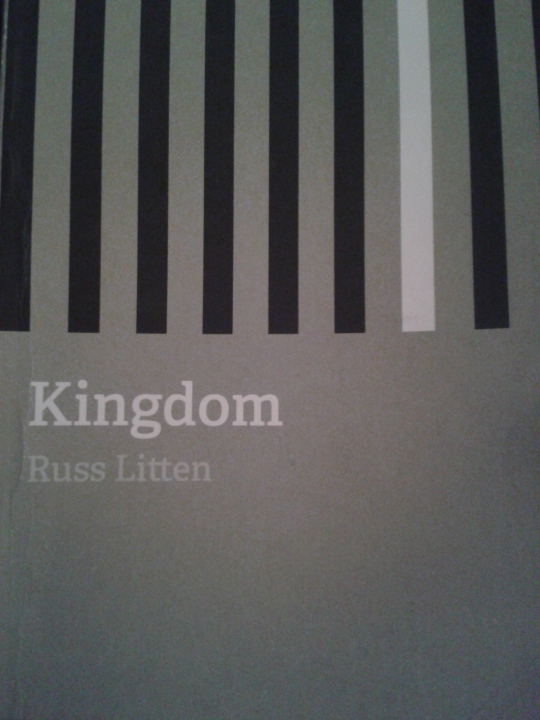 We follow Kingdom around the city as he floats in and out of people’s lives, trying to understand not only who he is, but also to understand the rest of mankind. He takes a particular interest in one young woman, and from following her and her housemates, Kingdom eventually begins to piece together the mystery of who he is, or was. Through the lens of the ghost story, Litten is able to explore the foibles of human nature and relationships, and in Kingdom he has created the ultimate ‘outsider’ character. By turns funny, tragic and moving, this is a novel quite unlike any other you’re likely to read any time soon. Part ghost story, part mystery, part drama, part tragedy. Though patiently paced, it grips like a thriller, building to a conclusion that will leave you exhilarated. Superb.